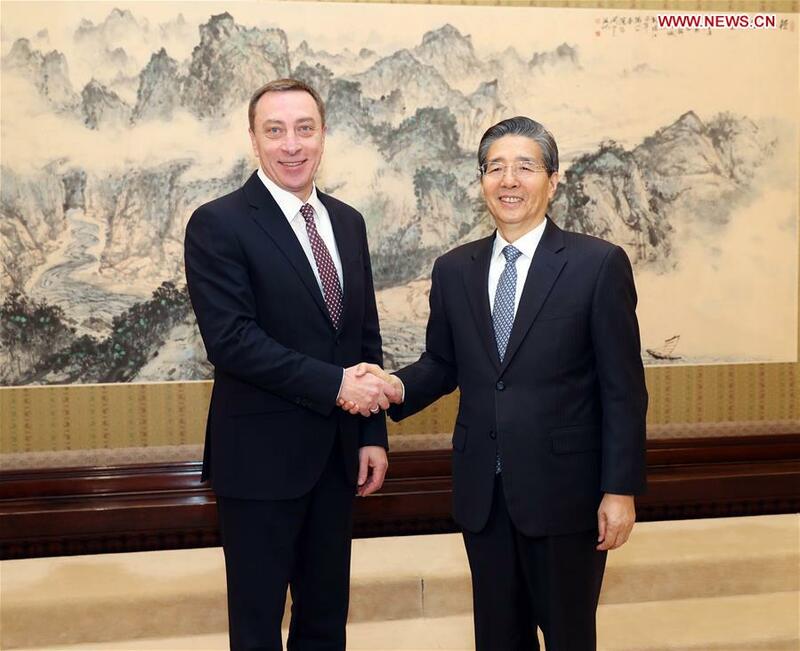 BEIJING, March 28 (Xinhua) -- Guo Shengkun, a member of the Political Bureau of the Communist Party of China (CPC) Central Committee, met with Nikolay Snopkov, deputy director of the Belarusian presidential office, here on Thursday. The China-Belarus comprehensive strategic partnership featuring mutual trust and win-win cooperation has yielded fruitful outcomes under the guidance of the heads of state of the two countries, said Guo, who is also head of the Commission for Political and Legal Affairs of the CPC Central Committee and Chinese chairman of the China-Belarus Intergovernmental Committee of Cooperation. The two sides should maintain the efficient operation of the intergovernmental committee of cooperation and advance cooperation in various areas including trade, science and technology, people-to-people and cultural exchanges and law enforcement, within the framework of the Belt and Road Initiative, Guo noted. Snopkov, also Belarusian chairman of the intergovernmental committee, echoed Guo by saying Belarus will spare no effort in pushing forward bilateral cooperation.